To the uninitiated there may just be too much letter/number salad in the title: the “RR” stands for Rolls-Royce and “GLK21” is the chassis number of a particular car, a 20 horsepower model from 1924 with tourer body by coachbuilder Barker. A Twenty is considered a small car for a Rolls-Royce, both in terms of engine size and consequently the coachwork it can haul around. Some might say, not to put too fine a point on it, that it is a “lesser” Rolls-Royce—but even the smallest/least of Rolls-Royces is a most proper motorcar and its fit, finish, and refinement a cut above most other marques. 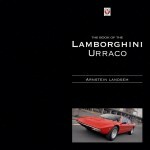 The reason an entire, and quite lavish, book has been devoted to this particular Twenty is its princely owner, which is not meant as a figure of speech but literally: His Highness Maharana Bhupal Singh of the Sisodia Dynasty at Udaipur (in Rajasthan, India) bought GLK21 in 1936 as a parts car for another of his Twenties, 1922 chassis 42GO, and the current owner is his grandson HH Sriji Arvind Singh Mewar (1944), the 76th custodian of the Mewar dynasty which, having been founded in 568, is acknowledged as the world’s longest-serving, unbroken custodianship. 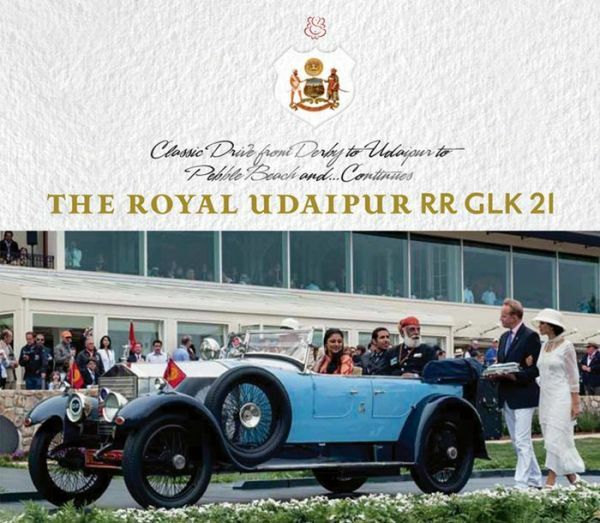 This notion of ruling as a trustee and not as a king is ultimately the impetus for the restoration of GLK21, and other Royal cars; the Vintage and Classic Car Collection (VCCC) at The City Palace, Udaipur; and a host of other preservation activities (crystal, silver, buildings etc.) under the auspices of the Maharana Mewar Charitable Foundation. After surrendering the required parts to 42GO, especially the engine, GLK21 lay dormant for half a century. In 1999 Arvind Singh embarked on an eight-year restoration (he himself calls it an “eccentric” decision) that was so well done that the car was invited to several big-name concours, including Pebble Beach which in 2012 had “Cars of the Maharajas” as a featured class. There, GLK21 earned the Lucius Beebe Trophy which “is awarded to the Rolls-Royce considered most in the tradition of Lucius Morris Beebe” (1902–1966), the American author, bon vivant, photographer, railroad historian, journalist, and early PB judge. The award was, incidentally, the first ever for an entrant from India. It is, in other words, a rather unusual story which has gotten a lot of ink, and it is well worth recording in a proper book that will enter into the record the pertinent background and details and so possibly prevent some of the breathless journos hungry for a story—from the Abercrombie & Kent catalog to BBC Top Gear India—from going off the deep end. The book and a website documenting the restoration were part of the Pebble Beach preparations. But, looked at with clinical detachment, the book does not actually say anything of deep significance about GLK21. It is a lovely book, to be sure. 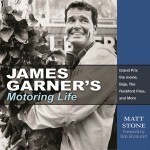 Heavy, in landscape format, bound in dark blue linen and with light blue endpapers matching the colors of the actual car. Clearly, someone paid attention to the details—but it doesn’t carry through. The book begins with a history of the house of Mewar and its origins with the Sun God Surya, portrays the 76 illustrious forebears/custodians in miniature paintings and even more miniature legends, takes a quick look at the connection between Rolls-Royce and India, and depicts the Palace Motor Garage. Splendid period photos illustrate this section. Then the story seamlessly and somewhat abruptly switches to a 30-page photo essay of the restoration of GLK21. juxtaposing Before and After shots. 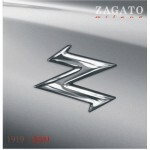 Other owners of Twenties will find this sort of micro detail necessary, concours entrants may come to appreciate what all is necessary in terms of proper execution and documentation, but the general-interest reader will probably wish for either more narrative to make the subject more relatable or for less minutia. 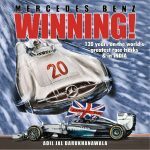 The remainder of the book depicts all sorts of car events in India from Mercedes Benz rallies to Shelby Mustang events, Indian concours, random Rolls-Royces old and new. All very colorful but, ultimately, lacking in depth or context. That everything is rather a bit fawning about GLK21, Eternal Mewar, the VCCC is neither here nor there but the avoidable typos such as dropping the “s” from “Rolls” a few dozen times (some corrections are actually called out on an Errata page at the very back of the book) or the peculiarities of Indian English (such as rarely using articles) and a general lack of polish (such as repetitions, syntax) make one wish for a surer hand. But there are more fundamental things to question. If a book is meant to take a reader into a new world, then that world needs to be explained. Not only are there many references here to Indian customs or institutions that a foreign reader won’t know about, there are also car-specific items that the non-specialist can’t possibly know without guidance. Why, for instance, identify one “Paul Wood” in a photo caption without also saying that he is the “P” in P&A Wood, the legendary British RR and Bentley specialist that was mentioned early on in the book (but misspelled!) 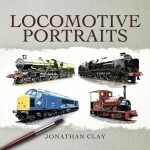 as having been consulted on the restoration. Rather than showcasing the people who gave their all to resurrect the car this book is about, someone like Prince Michael of Kent who is window-dressing at best, is shown ad nauseam. A cousin of Queen Elizabeth II who has no official portfolio but occasionally carries out royal duties representing the Queen at some functions in Commonwealth realms, he is a patron of all sorts of aero and auto activities, but—enough already!